The UDG Ultimate DIGI Headphone Bag is a premium headphone carrying bag made from Ballistic Nylon that is designed to protect headphone, USB drives, SD cards, Ext. hard-drive, mobile phone, cables, business cards, credit cards and accessories in one padded carry bag that includes a handgrip, detachable and adjustable shoulder strap. 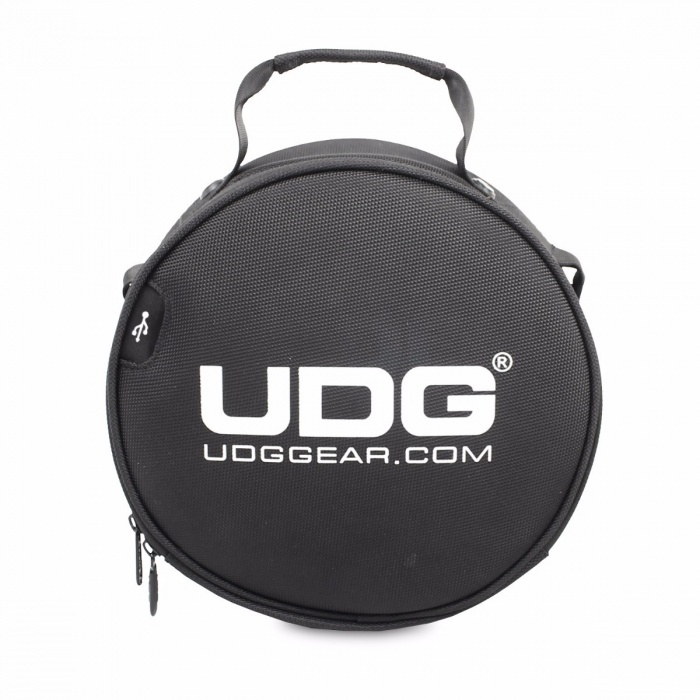 The UDG DIGI Headphone Bag the one bag a DJ need to carry around today’s digital media.